Worthy of any Roman General. 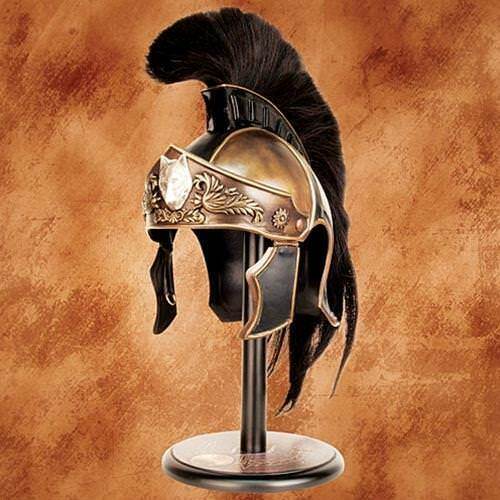 From the classic motion picture Gladiator – based on the screen -worn prop. Made of hand worked steel with a coating of antique brass. Silver plated wolf’s head is fixed to the front. Inlayed leather along the sides and an adjustable cloth liner.